Digitalization is important for the DB and all it´s parts and divisions. We at DB have a lot of chances that come along with digitalization and agile working methods to influence the future of mobility and logisitcs. Data plays a major role: big data. 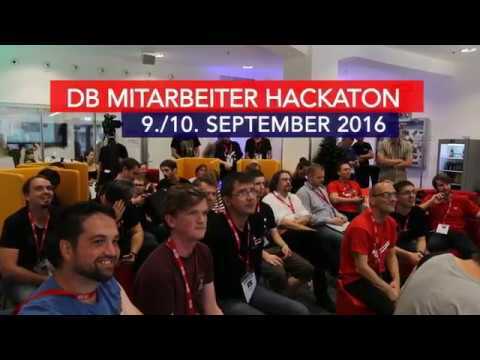 The hackathon supports networking and cooperation of all staff members within DB to find data driven solutions. Teams do jointly develop data based prototypes such as analysis, visualizations, applications with data from the DB Open-Data-Portal, DB internal databox and other data sources provided for this hackathon. Coworing is central - choose your team and work together with collegues having different levels of experience. Everybody who wants to support DB by the usage of data is welcome. Beside the free to choose topics we will offer special challenges. These challenges will be published and send to the participants that registered so they can prepare themselves. Corresponding data will be provided by DB Fuhrpark, DB Dialog, DB Station&Service, DB Cargo, DB Fahrzeuginstandhaltung. The DB board will choose the three most promising projects, reward the teams and support them realizing it within DB. Projects that probably will have a high benefit for our customers will have the good chance for success. Both locations will be connected (video). Find the results of the Hackday in the internal databox.